You are going to love the open concept feel of this Sundance fifth wheel by Heartland RV with its triple flush floor slide outs. 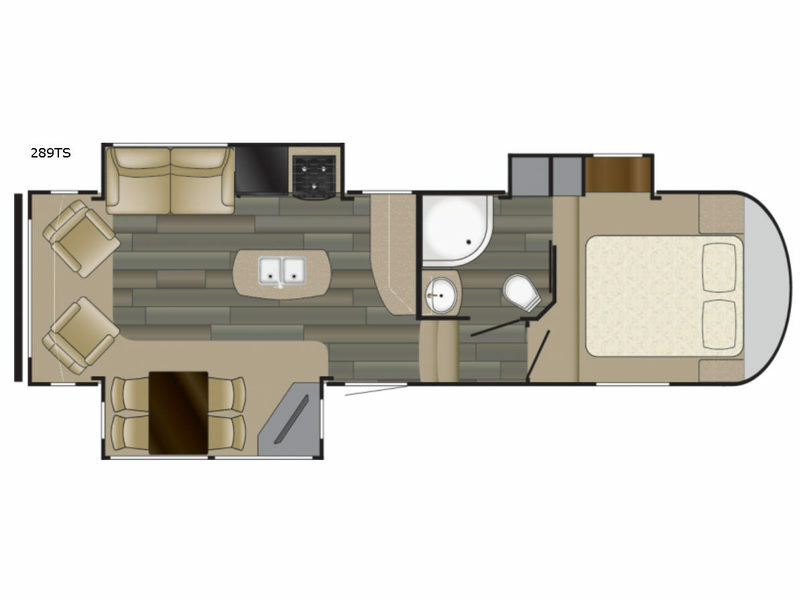 Model 289TS features dual opposing slides in the main combined kitchen and living area which offers a tri-fold sofa and two recliners for seating besides the free standing table and chairs for dining. The kitchen area offers stainless steel appliances and ample counter space plus storage with a separate island including dual sinks. The private bedroom and bath will help keep you clean and refreshed all while you are enjoying new surroundings for a weekend or week long adventure.